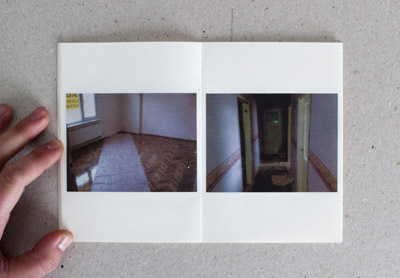 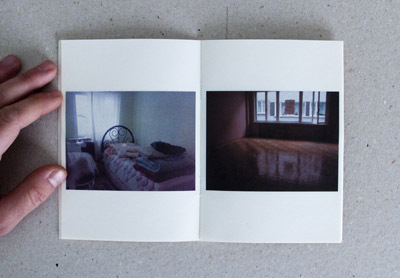 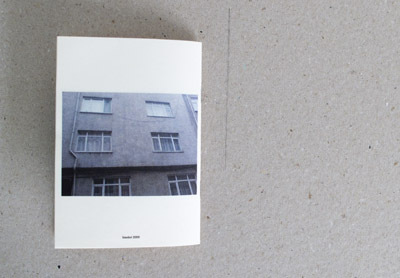 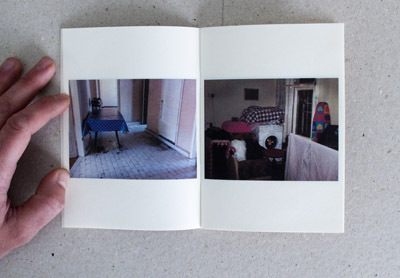 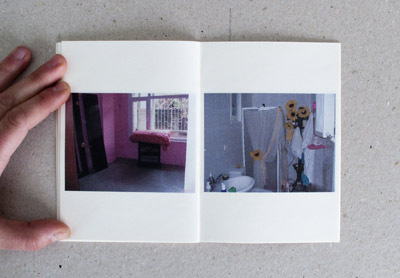 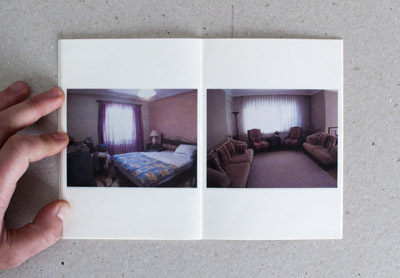 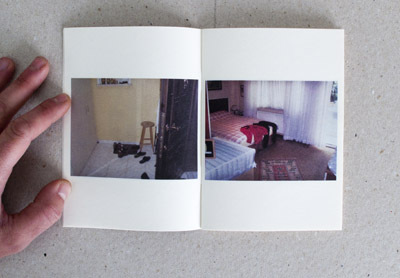 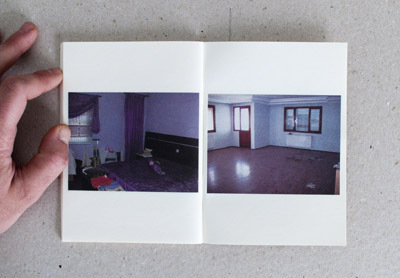 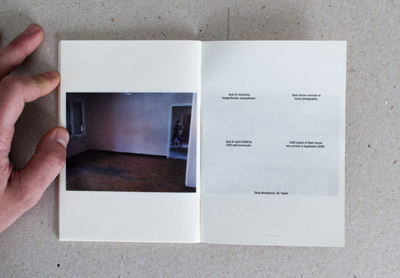 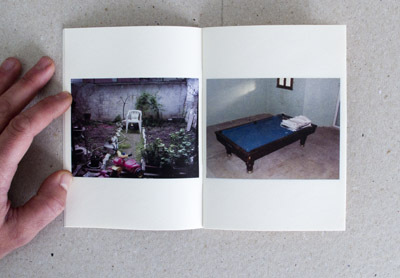 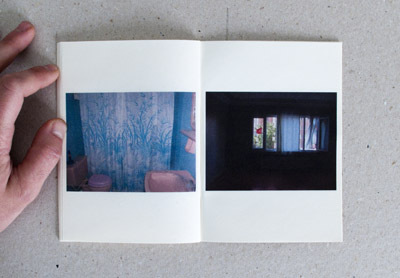 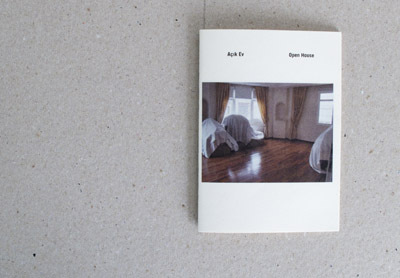 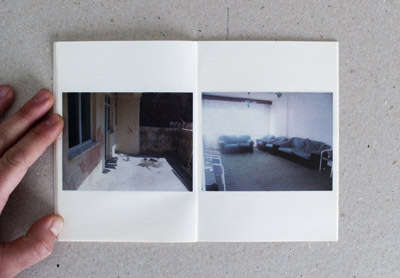 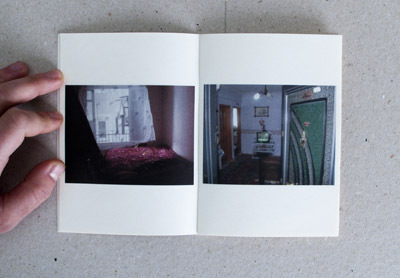 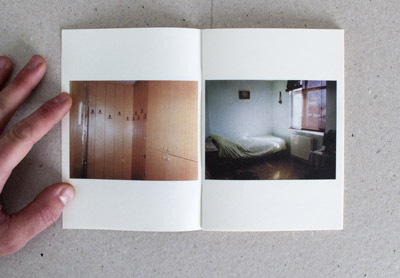 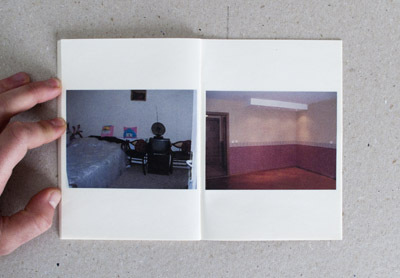 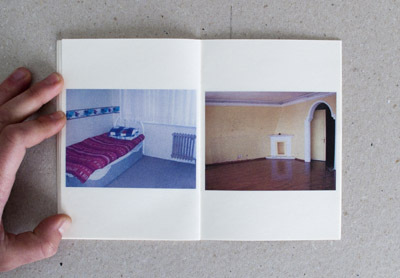 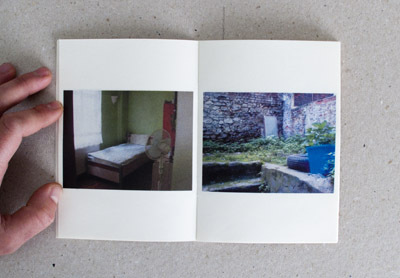 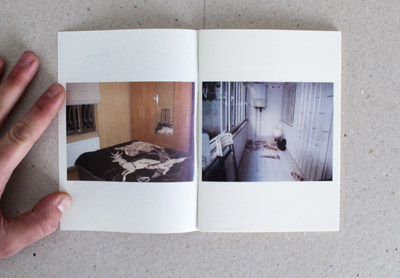 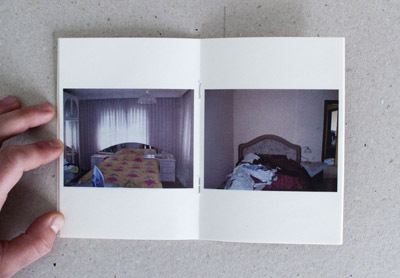 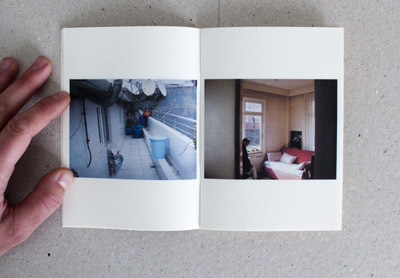 Printed on thin, textured cream paper, this intimately-scaled artists' book collects photographs of interior spaces found on online real estate websites. 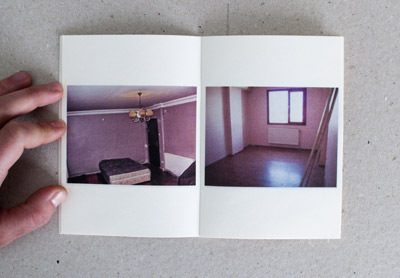 Although they once functioned as visual aids advertising rental spaces, the images in the book depict ghost-homes, still decorated according to the tastes and habits of their soon-to-be former inhabitants. 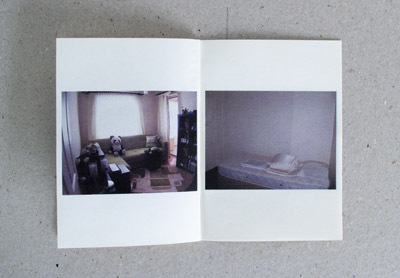 Dimensions (Height x Width x Depth): 14.5 x 10.5 cm.